What Causes Flakes in a Water Dispenser in a Refrigerator? Flakes in a glass of water are unappetizing. Your refrigerator water dispenser is often the culprit behind those floating and sometimes sinking flakes. Brown flakes can be a result of a contaminated dispenser filter. Mineral deposits from hard water cause white flakes. 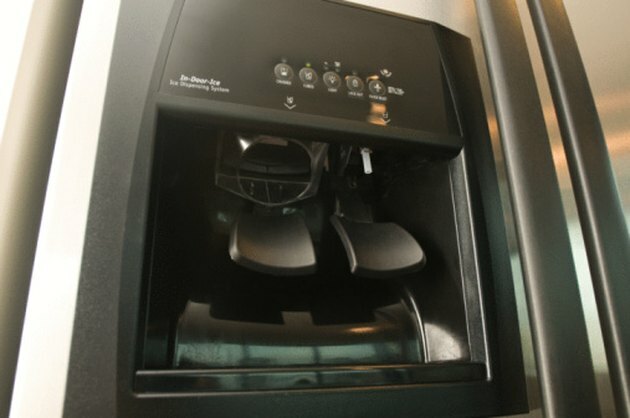 Perhaps the most unappealing flakes are black flakes caused from mold in your water dispenser. For some flake issues, there are solutions. For nontoxic flakes caused by hard water, unless you want to relocate to an area with softer water, the solutions involve additional filters or not using the refrigerator water dispenser. 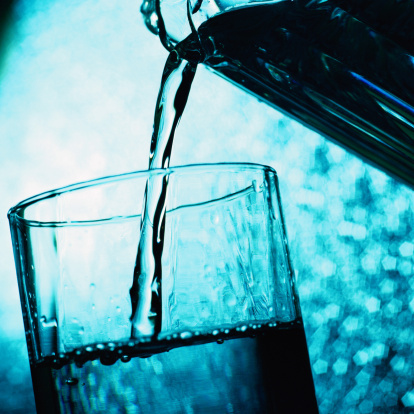 Refrigerator water dispensers accumulate a variety of contaminants. Refrigerator water dispensers are usually served by multistage filters. When the water first enters the filter on the way to the dispenser, water debris is removed. Best Water Filter Guide website says that the next filter level removes chlorine, followed by a final filter which utilizes carbon filtering to erase serious contaminants, such as cancer-causing chemicals and the presence of lead. Often parts of the filter discolor with usage. Metal piping used in the transport of water through the refrigerator sometimes produces brown or rust-hued flakes. Metals such as copper, manganese, brass or iron can result in brown flakes. The combination of highly acidic water and metals, such as brass or copper, can lead to pipe corrosion and brownish flakes. The solution to these rust or brown flakes is a filter replacement. Filters should be replaced about every six months. Mineral deposits, such as lime and calcium, are present in hard water. These deposits result in white flakes in water. The deposits build up within the water dispenser, often clogging the water lines. As the white flaky deposits break away, the minerals emerge from the dispenser. The North Carolina State University Department of Biological and Agricultural Engineering calls these hard deposits lime scales. Lime scales are the excessive buildup of magnesium and calcium. Mineral deposits can be temporarily removed by cleaning all accessible parts of the refrigerator water dispenser with cleansers containing sequestrants. Sequestrants render minerals inactive so they can't layer or clog a treated surface. Lemon and vinegar are natural cleaning solutions to remove mineral deposits within the water dispenser. Wherever there is water, there is the chance for mold. The many parts of a water dispenser, such as the water tank, filters, pipes, spigots, spouts and the dispenser nozzle, all are prime candidates for the presence of mold growth. The Albemarle County Service Authority in Virginia maintains that Serratia bacteria are responsible for the mold spores that congregate in damp environments. 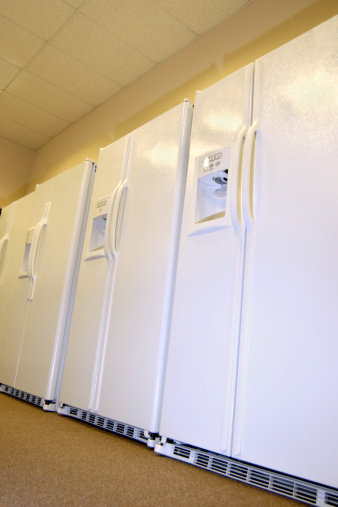 The closed, dark, wet inner workings of a refrigerator water dispenser can easily host mold. Black mold coats these places, breaking away at times to emerge in your glass of water. Accessible parts of the water dispenser can be cleaned with bleach and flushed to remove the bleach residue. If the black flakes are worrisome, test kits are available to categorize the contaminants present in your dispenser water. Some water companies will perform water tests for a fee. Can Mold Grow in Refrigerator Water Dispensers?